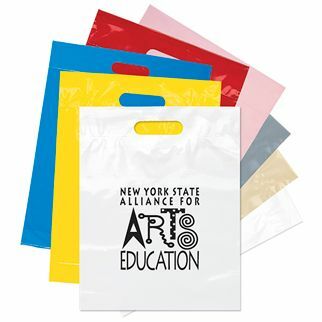 If you are attending a trade show, conference, or an exhibition, you need to bring your “A” game. 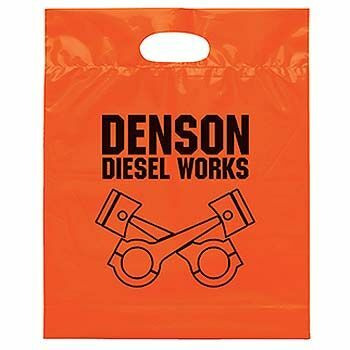 You will come across several potential customers and it is important you make your brand seen. 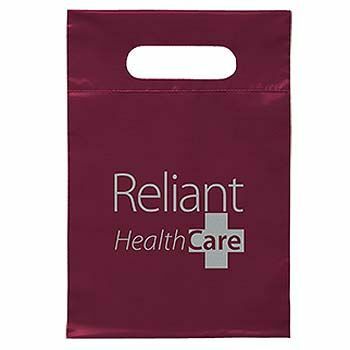 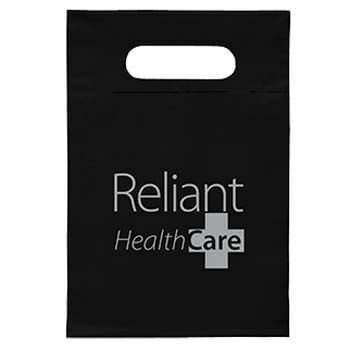 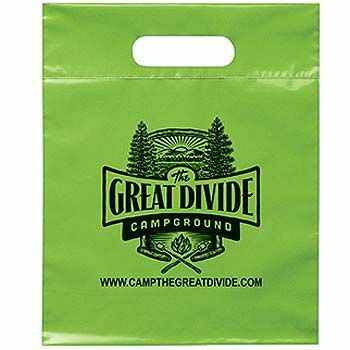 With so many businesses present, you need to make our Imprinted Die Cut Handle Bags part of your promotional strategy. 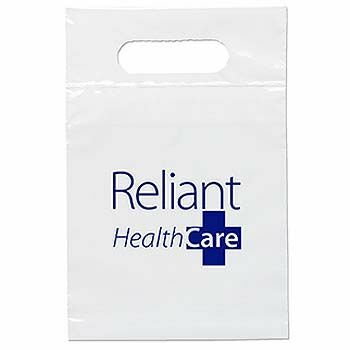 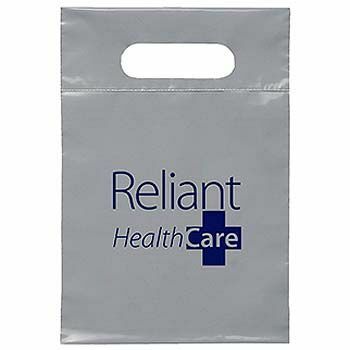 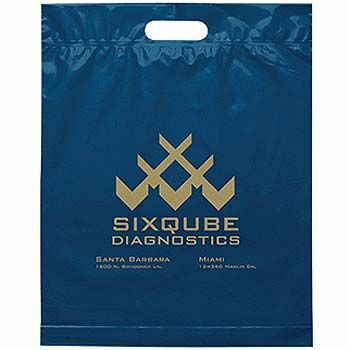 15 X 19 X 3"
If you want people to walk out of the trade show with the name of your business etched into their memory, you need to offer them free promotional items in our durable courier bags. 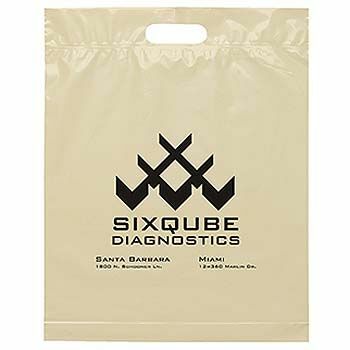 You can hand them out to people outside of your store even. 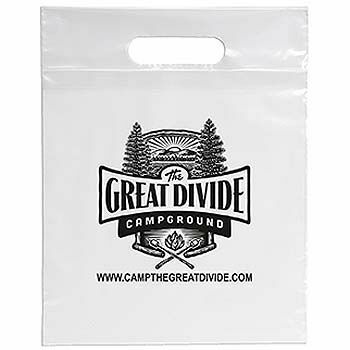 You can give them a complimentary consolidated bag upon buying something from your store. 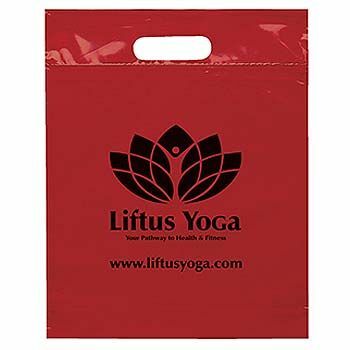 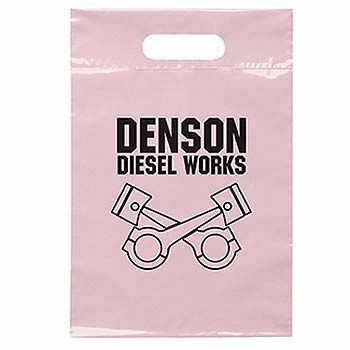 You can use our Imprinted Die Cut Handle Bags to promote your business in several creative ways. 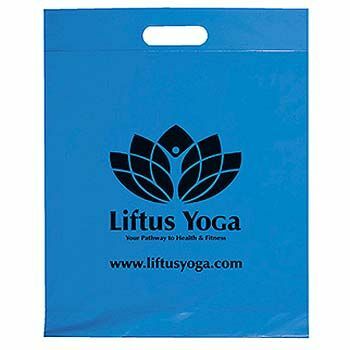 By branding the colorful bags with your logo and text, you will have a higher chance of increasing foot traffic at your location.